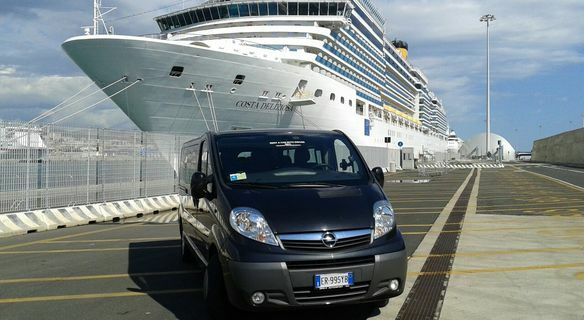 We can arrange a pick up service from/toCivitavecchiaPort to/from our Hotel, by a “Car &Taxi Rental Company”. The driver of the Company will be at the gate of your boat with a signboard with your name on. The transfer will cost Euro 160,00 for all of you (up to 4 people) or Euro 200,00 (up to 8 people – Minivan) and in 1 hour (more or less) you will be at the Hotel /CivitavecchiaPort.